The Richest Immigrant to the USA Releases Secret #4 to Be Happy and Wealthy Like Him! The value of any person resides in what one gives and not in what one receives. 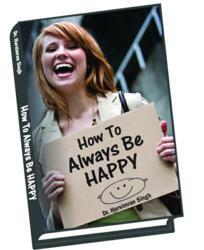 Learn how to be happy and wealthy from an immigrant who migrated to the USA with a total of $8 and is now ranked #1 when one Googles, "Rich Immigrants"
Dr. Harsimran Singh is an author of 13 inspirational books. The following is an extract from his book, "How to Always be Happy" which may be very helpful for anyone to be happy and wealthy in life. According to Dr. Singh, one must learn to give without the expectation of receiving in return. Giving is a great attribute. People must learn to become giving towards others and also learn to forgive as well. Forgiveness, too, is another form of giving. When people give without the expectation of receiving, it is an unconditional act. In such a transaction, if one will, a neutralizing effect takes place and what was given is bound to return manifold. "Generosity should be held as one of the most profound fulfillments in life, as it results in practicing humility and learning a number of lessons in one's daily lives. The joy obtained from giving is much greater than that experienced in receiving and taking what is desired, wanted or needed", says Dr. Singh. As per the author, when one learns to give, one will find that there is an immense elation in giving what another one needs. Giving of oneself can include time and energy, talent and creativity, advice or monetary help. "Remember, it all piles up to nothing when compared to the companionship and support of family and friends. Bliss one never experienced can be enjoyed, simply by practicing generosity, giving love or moral support, emotional or psychological assistance, or spiritual guidance", says Dr. Singh. Dr. Singh recommends that one must open one's eyes and mind to ways that one can help and give to others. One may be surprised at just how much one will benefit by giving to others without receiving anything tangible or intangible in return. Oftentimes, many people give to receive when in actuality they should be thankful and express gratitude that they are in the position to give to those on the receiving side. Giving, generosity, and gratitude all go hand-in-hand. "Giving is a Godly attribute because God never grows tired of giving.When people allow themselves to see giving for what it truly is, it will also bring them closer to God which contributes to happiness in a number of ways as well", says Dr. Singh. "Inspirational quotes are akin to a blazing fire. If fuel is not continually added, the fire gets extinguished. So keep on adding the fuel of positive thoughts", says Dr. Singh. Dr. Singh credits his success to Search Engine Optimization, which helped him have his websites ranked at the top of search engine results. He wants others to be successful as well. He wrote the book, “SEO Secrets to BIG Money” (valued at $45.95) which can be downloaded for free by clicking SEO.